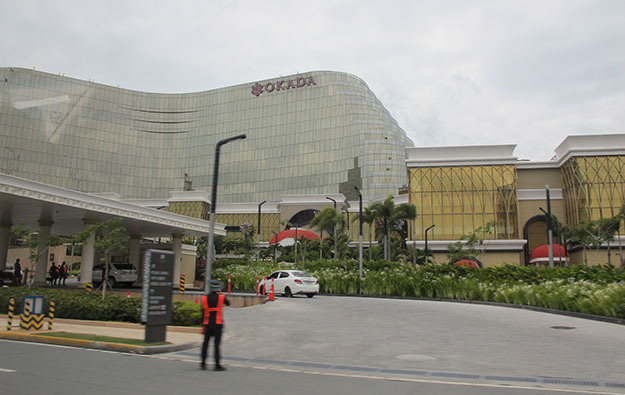 Okada Manila casino resort (pictured) in the Philippines “has good potential to establish itself as a leading integrated resort (IR)” in the capital’s Entertainment City, says Fitch Ratings Inc. In a report released on Thursday, the ratings agency highlights the “scale and high-end focus” of the project led by Japanese conglomerate Universal Entertainment Corp.
Fitch has assigned a ‘B+’ credit rating with a stable outlook for the Japanese gaming company, thanks to Universal Entertainment’s “strong market position” in the casino business as the operator of Okada Manila. A Philippine subsidiary, Tiger Resort, Leisure and Entertainment Inc, runs the casino resort. Fitch’s report said the resort’s ramp-up is “well under way”, with most of the investment concluded and construction slated for completion in the third quarter of 2019. The ratings agency expects high single-digit gross gaming revenue (GGR) growth in the Philippines to boost junkets and high-end casinos. “As the largest IR in Entertainment City, the Okada Manila is well-positioned to benefit from these positive dynamics,” stated Fitch. Entertainment City is an area in Manila earmarked by Philippine authorities as a casino zone, and meant to emulate the success of Macau’s Cotai district. It currently features three casino resorts: Solaire Resort and Casino, by Philippines-based Bloomberry Resorts Corp; City of Dreams Manila, operated by a unit of Melco Resorts and Entertainment Ltd; and Okada Manila. Philippines casino operator Travellers International Hotel Group Inc – a venture between local conglomerate Alliance Global Group Inc and Hong Kong-listed Genting Hong Kong Ltd – is also due to develop a casino resort in Entertainment City, to be called Westside City Resorts World. Two weeks ago, Okada Manila casino resort announced it had recorded adjusted segment earnings before interest, taxation, depreciation and amortisation (EBITDA) of PHP370.6 million (US$7.1 million) for October, the most of any month since its soft launch at the end of 2016. However, Fitch stressed that Okada Manila’s expansion plans are “highly dependent on growth in junkets and high rollers,” areas in which Universal Entertainment lacks a track record to compete directly not only with local competitors, but also “strong and experienced overseas rivals”. The ratings agency also expressed concern over the company’s corporate governance amid an ongoing dispute with the group’s founder, Japanese gaming entrepreneur Kazuo Okada. The businessman is trying to regain control of the company, and he and the company are in dispute in the public arena about several aspects of how it is run. In November Universal Entertainment reported net profit of JPY167.97 billion (US$1.48 billion) in the third quarter of this year on net sales of JPY67.01 billion. Universal Entertainment has also taken steps to list the operator of Okada Manila in the Philippine Stock Exchange.